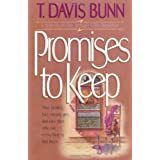 I’ve been reading a book by T. Davis Bunn, now writing as Davis Bunn, called Promises to Keep. Bethany House Publishers published it in 1991 and T. Davis Bunn copyrighted it in 1991. I read it before, but I wanted to read it again. I’m learning about politics and lobbyists and the way laws come into being or bills are buried so they disappear. I didn’t see this the last time I read the book because there was so much to the story. It covers some uncomfortable issues. It makes me aware that I don’t know what the laws are that this fictionalized tale speaks of. The author leaves footnotes to tell of actual testimonies and persuasive arguments. This book emphasizes the power of prayer. I received a newsletter from an evangelist who came to our church a few times. He asked that his readers would please pray; that God is in control of the elections and of our country and of our world. Both he and T. Davis Bunn remind their readers that what might seem impossible is not impossible to God. In this instance He is speaking of how hard it is for a rich person to come to the saving knowledge of Jesus Christ as Lord and Savior, in other words, to be saved. In this particular conversation, Mary, the mother of Jesus is being told that her elderly aunt, Elizabeth is pregnant. Then the information that nothing will be impossible with God is declared. I take great comfort in God’s Word. He is all powerful and He is in control. Nothing is impossible to Him, even though He allows things to happen that break His heart because He gives mankind free will. Yet, I recall many times over my life getting a small nudging to turn this way or don’t eat that, because God was trying to direct my paths so I’d avoid injury. Once was early on in my walk with God. I kept having insistent thoughts to turn down a particular street or to try and sell a school fundraising item to a family on another side street. I would rationalize the ideas away. Why would I turn here, it’s out of my way? I couldn’t even speak. The dog bit her and I developed a strong fear of dogs. I then understood why I kept having these promptings to go another way. Thankfully, it just bit once and the owners came running out of their garage to whisk it away. I learned a lesson that day. If I sense God leading me in a way that’s a little out of the ordinary, I just take it, most of the time. I’m still learning. I looked out to the backyard and saw dozens of starlings swoop down to fill the grass and gravel. They pecked the wet ground looking for worms or grubs. A lone squirrel frolicked across the edge of green and routed the birds. When they swarmed together and lifted to flee, the squirrel scrambled closer to the house. I wondered if he knew he scared them off. Seconds later, he sat on the porch steps railing with his tail placed over his head like a rain hat. The underside of his tail looked scrawny with a ring of fur around the skin. It reminded me of a new dust mop from a flim-flam salesman with lots of the fringe gone. A thought crossed my mind. Are the starlings like demons, gathering together to wreak havoc? Are Christians like the squirrel? Christians carrying God’s light within them, do the demons flee from the light? Then the Christian completely unaware huddles in the rain, trying to extinguish the fiery darts of the enemy in their own strength. Watching the bright eyed little guy, before pondering theological things, I kept thinking, if I were a squirrel, I could tell the other squirrel to quit getting rained on and stop shivering in the cold. Come onto the porch landing under the roof. It’s warmer by the house than in the open air. When I turned my mind to spiritual warfare, I got thinking of the Scripture in the Old Testament that say a small number of righteous people will send a large number of evil people running. Lev 26:1 “You shall not make idols for yourselves or erect an image or pillar, and you shall not set up a figured stone in your land to bow down to it, for I am the LORD your God. Lev 26:2 You shall keep my Sabbaths and reverence my sanctuary: I am the LORD. Lev 26:4 then I will give you your rains in their season, and the land shall yield its increase, and the trees of the field shall yield their fruit. Lev 26:5 Your threshing shall last to the time of the grape harvest, and the grape harvest shall last to the time for sowing. And you shall eat your bread to the full and dwell in your land securely. Lev 26:6 I will give peace in the land, and you shall lie down, and none shall make you afraid. And I will remove harmful beasts from the land, and the sword shall not go through your land. Lev 26:7 You shall chase your enemies, and they shall fall before you by the sword. Lev 26:8 Five of you shall chase a hundred, and a hundred of you shall chase ten thousand, and your enemies shall fall before you by the sword. Lev 26:9 I will turn to you and make you fruitful and multiply you and will confirm my covenant with you. As I read further, God tells what will happen to those that disobey Him and worship false gods and make idols. Then, it’s the opposite. People will be afraid, crops will fail and enemies will overtake them. Yowza. I also considered Elijah. He thoroughly defeated the prophets of Baal through God’s great power, and when the evil queen Jezebel threatened him, he ran away feeling defeated. He was hungry and exhausted, and that is exactly when the enemy of our soul will hit, when we are weak. God sent an angel to feed him. God showed Elijah that he was not alone. Many people believed in God like he did. It’s in 1 Kings 18 and 1 Kings 19. More and more of the Old Testament stories are being proved true by reputable historians of their day and by archaeological findings in our day. After the days of Jesus, Josephus was an honored historian and he wrote of Jesus. Josephus was not a follower of Jesus, just an impartial observer. Anyway, I hope this finds you blessed by God. I’ve been reading the book, Where the Wild Rose Blooms, by Lori Wick, copyrighted in 1996 and published by Harvest House Publishers; Eugene, OR. Two of the characters believe in God and even pray, but they think they can live their lives on their own, with their own strength. The author has the characters relying on their own resources and being proud of their accomplishments, never understanding that their intelligence, their job opportunities, their families, their looks, and their personalities were all a gift from God. Whenever hard things came their way, they could pray and believe God wanted to help them, or they could get mad at Him, stiffen their resolve and push forward. I remember a friend telling me that she and the children got into a car accident. I asked if they were okay. “We didn’t get hurt,” she said. “I blamed Him,” she said. We talked a little further, but she didn’t want to, so we changed the subject. She kept a tidy home and I never saw a trace of dirt on her daughter and son when we came over to visit. She liked predictability in life I think. I’ve noticed that life goes its own way. I make my plans and sometimes things go the way I think they will. Other times, I shift from my list and at the end of the day make an accounting of where the hours went. Sometimes I’m content with it and at other times, the idea that poor choices prevailed slams my brain. I like believing in God in a way that became new to me as a teenager. Not just knowing about God, but learning that God wanted to be in a relationship with me. Asking God to be in charge of my life frees me to relax and to trust in His guiding hand when things happen that are out of my control. Reading the Bible and being able to understand it occurred after I asked Jesus to be my Lord and Savior. Wanting to serve others doesn’t come naturally to me, but the desire to do so grew after I believed in God in my heart instead of just in my thoughts. This book by Lori Wick gets into a few of these things some of the time. I like reading fiction that entertains and gets me thinking. That’s how I felt: new inside so that nature shone with a greater beauty and a love for people sprang up in a fuller way. I’m not perfect. I’m not always peaceful when things get rough, I don’t always feel loving when faced with difficult folks, but I’m changed from what I used to be. To God be the glory. May God bless you. I pray you’ll know Him personally if you don’t already. He knows you and He loves you. He believes in you and He wants you to believe in Him. Just start reading the Gospel of John. God has been blessing my family and me lately, not because we’re good, but because He’s good. I ordered a Dragon Speak Upgrade after calling Nuance Co. to be sure I didn’t need an original product to upgrade from. The customer service representative said the product could stand on its own. When it didn’t, they made it right. They requested receipts and had a record of my conversations as proof that all was legitimate. My daughter and her husband need a better car and his mom sold them hers for a good deal. I read in the book of Luke near the end where Jesus gave up His life for us, taking on the punishment for our sins. Since He was willing to give up His physical life for everyone, it makes sense that He would provide for our material needs. He’s not a cash register in the sky, but He does say in Matthew, chapter 6 that if we would seek first the kingdom of God and His righteousness, then all the food and clothing we needed would be provided for us by Him. There is so much insight in the book of Matthew. A pastor I met years ago told me to read Matthew chapters four through seven as often as I could and they would benefit me. The Beatitudes are in those chapters. I hope you are seeking God in these turbulent times. I’ve asked Him to prove Himself or to show me answers to questions that arose from things I read in the Bible, and I’ve never been disappointed. Sometimes I’d hear a sermon on the radio or I’d ask a more mature Christian to please explain something for me. I’d read the Bible and the thing I wondered about would come up in another section and I’d have clarity. God is good. He answers prayer. I went to the library to borrow some books for research. I read a comment by author Jerry Jenkins about relaxing at night with a light novel. 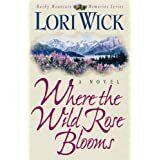 So, I picked up a book by Lori Wick from the Rocky Mountain Memories Series, the first one, called Where the Wild Rose Blooms. The book was published by Harvest House Publishers and copyrighted in 1996 by Lori Wick. It’s light reading compared to the non-fiction books I chose, but this book reminds me to read the Bible and to treat others as I’d like to be treated. She weaves these ideas into the story in a way that I appreciate. 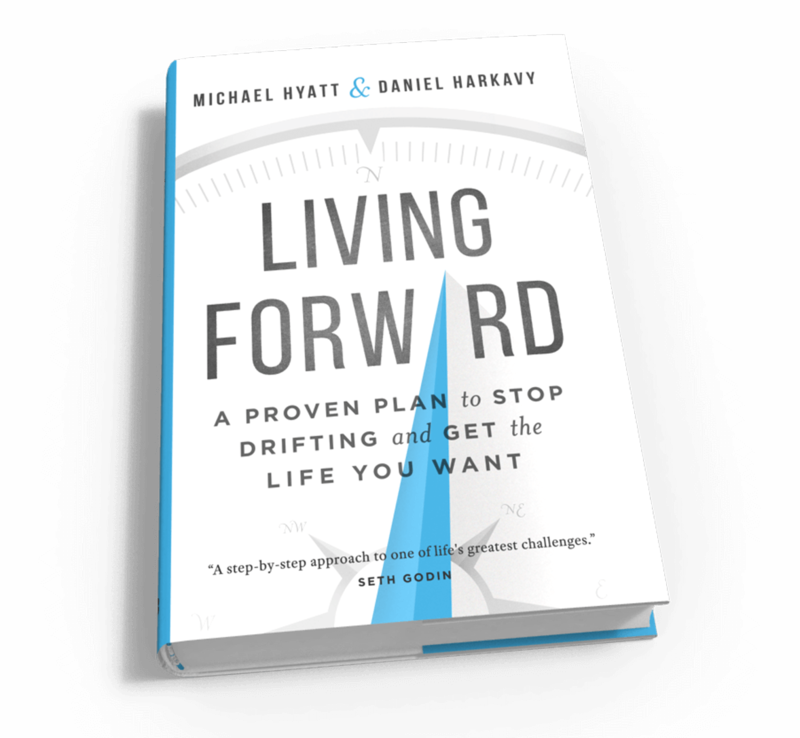 Another book I took out of the library that I blogged about before is written by Michael Hyatt and Daniel Harkavy entitled, Living Forward: A Proven Plan to Stop Drifting and Get the Life You Want. It’s published by Baker Books from Grand Rapids, MI and copyrighted in 2016. As I went through the book, I was offered an opportunity to do some things online if I’d purchased the book and I was interested in doing those things. Also, Christian Book Distributor was announcing a grand sale, and this book happened to be half their regular price. So, I bought the book. I’m keeping the original copy from the library until the purchased one shows up so I can keep working on their exercises. When I started it, I got thinking I may want to buy my own. My husband has used Stephen R. Covey’s books on self-management for years and a small portion of this new book is similar to Mr. Covey’s book, The 7 Habits of Highly Effective People: Powerful Lessons of Personal Change. It was copyrighted in 1989 and published by Fireside, a division of Simon & Schuster, New York, NY. I read the 7 Habits book, but for some reason I never finished it. Not ready for it, I guess. I use the Franklin Covey planner every year and it would behoove me to read the 7 Habits book. Maybe I will when I finish the Living Forward book. I see why the authors of Living Forward suggest the reader take a day off from their routine and work on the life plan they suggest. I began it last Thursday when I had a full half day free to myself. I’m wordier than many, I’m sure. So, the first exercise took me a while and struck my emotions. I hope to work on it again tomorrow and hopefully get quite a bit of it done. I just got hired to do a project and I am definitely starting that tomorrow. Those are two of my top three priorities. I’m reading my Bible more, with God’s help. Do you buy books you started to read in the library? I’ve purchased at least four this year. Two of them were writing books. One was a Bible study, and then this latest one is on goal setting and life plans. I rarely purchase a fiction book that I borrow unless it’s really long and I can’t get it finished in time. I tend to buy reference books. I know there’s lots of info on the internet. I just like books, what can I say? Today, I went to a Ladies Bible study at the nursing home on this dark, rainy day. One of the ladies is in her early sixties, single and disabled. She recently got moved to a smaller room away from the nurses’ station. The overhead television set was there and she got used to sitting by the attendants and watching her favorite game show at 3:00 p.m.
Now, for whatever reason, they don’t want her sitting by them anymore in her wheelchair and they won’t let her watch the television program. So, she told us she’s been crying day and night for a few days now. The lady that normally reads the Bible for us came into the room a tiny bit grumpy. Not complaining, but out of sorts. She’s 94 years old, probably aching. I know she was cold because she appreciated her crocheted blanket draped over her shoulders. Everyone agreed the time had arrived to stop ministering and to dive into the Word of God. That ministered to this younger woman. Afterwards, she exhibited a calmer countenance, an enthusiasm to spend time with God, and an interest in reaching out to others. I’ve found in my own life when feeling down that when I shifted my attention to fulfilling someone else’s need, those “blue” feelings disappeared. Praise God!